On Thursday 23 June the United Kingdom citizens will be voting to decide whether the BVI’ mother country remains part of the European Union or leaves the EU. Director and United Kingdom/European Union Representative at the BVI London Office Benito Wheatley is hoping that citizens of the Overseas Territories consider the option carefully. Wheatley who is also Chairman of the United Kingdom Overseas Territories Association (UKOTA) distributed a report that was commissioned by the Association to the BVI media, and stated that it is important that the public understands the relationship the Territory has with the EU. The report which emphasizes the benefits of the EU membership to the United Kingdom Overseas Territories (UKOTs) was prepared against the backdrop of the upcoming UK referendum which is being referred to in the international media as BREXIT. Among other things the report cites that the Territory enjoys EU cooperation in the area of financial services as part of the OCT-EU trade relationship. “BVI is the Co-Chair of the OCT/EU Financial Services Partnership Working Party (PWP), which brings together technical experts from the OCTs and EU to discuss issues of mutual concern. This platform is important for mutual understanding and to make sure that the interests of the OCTs are taken into account by the EU in its decision making,” the document noted. The BVI’ intention to make fisheries part of the Territory’s economic product was noted in the report as an area that can be furthered through EU relations: “A number of the UKOTs are highly dependent on a small number of industries, and this increases their vulnerability. Thus several are investigating ways in which they can diversify their economies. For instance, BVI is exploring the commercial expansion of its fisheries industry, with the EU as a potential export market,” the report said. In March while the referendum topic was still fresh Deputy Premier and Minister for Natural Resources and Labour, Dr. the Hon. 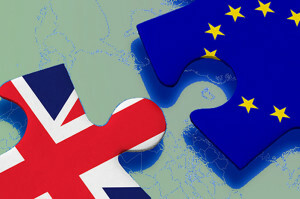 Kedrick Pickering announced that residents and legislators should closely monitor the upcoming UK referendum situation. This is not the first time that the United Kingdom has held a referendum on EU membership. In fact, one was done in 1975, and at that time the result favoured staying in the organization. Years later the UK is pushing the referendum topic again, and it was stated that the influx of Eastern Europeans and migrants into the country is one of the hot issues that may impact the outcome of the exercise. Reports say that UK citizens feel that the Eastern Europeans and other migrants usurp benefits that were put in place for the country’s citizens such as housing and healthcare. On the other hand, persons in favour of the UK remaining in the EU explained that by exiting the EU, the UK will be pulling away from its major trade market and will still have to deal with compliance matters, but no longer have a say in EU decisions. Brexit is already having negative effects on the London stock market and on the British currency; investors are moving on to German bonds and the London financial market is seeing negative effects of a referendum that was launched by the British Prime Minister only to boomerang on him.